After the US sounded the alarm over the presence of Chinese warships near the coast of Alaska, the terrifying "threat" appears to have passed. On Wednesday, US defense officials announced that their surveillance had detected five Chinese naval vessels in the Bering Sea. It was the first time that Beijing’s military had journeyed so close to American shores, and while the ships remained in international waters, Washington couldn’t help but to see their presence as foreboding. "This would be a first in the vicinity of the Aleutian Islands," an anonymous Pentagon official told the Wall Street Journal. "It’s difficult to tell exactly, but it indicates some interest in the Arctic region." But according to comments from the US Navy on Thursday – only one day later, mind you – those so-called ominous ships were already on their way home. "They already had one of their icebreakers up in that area, and they weren’t that far away with an exercise, and they’ve already started their return transit," Chief of Naval Operations Admiral Jonathan Greenert told Reuters. 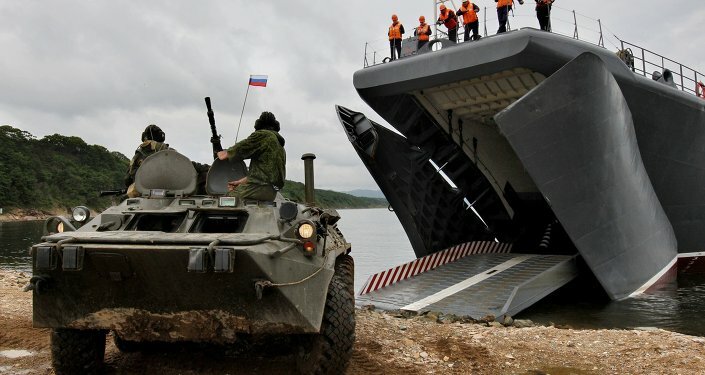 By "exercises," Greenert is referring to the "Joint Sea-2015 II" naval drills held with Russia in Peter the Great Gulf. Involving over 500 marines and 22 naval vessels, the drills ended last Friday and took place only 2,000 miles west of the Bering Sea. A statement from China’s Defense Ministry and provided to Reuters also stressed that the incident was part of a prearranged route, stemming from the ships’ relatively close proximity following the exercises. "This is a routine arrangement as part of annual plans, and is not aimed at any set country or goal," the statement reads. Reports also surfaced earlier on Friday that the Chinese ships passed through US territorial waters, coming within 12 nautical miles of the Aleutian Islands. "This is clearly a signal," retired rear admiral David Titley told the Washington Post. Others have pointed out that even that brief transit through US waters was done legally, following what international law calls "innocent passage." A US official, also speaking to the Washington Post, compared Beijing’s actions to those of Washington, with US ships routinely passing through Iranian waters in the Strait of Hormuz. The sightings also come amidst continued operations of the US military in the waters of the South China Sea. Beijing’s construction of artificial islands in the Spratly archipelago has caused alarm in Washington, leading to increased surveillance operations in the region. 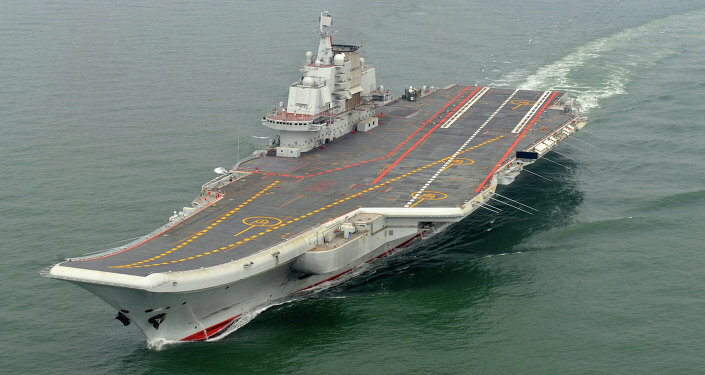 China has repeatedly stated that it has every right to build within its own territory, and that the islands will be used largely for humanitarian purposes. "This is certainly the first time we have observed Chinese navy ships in the Bering Sea," State Department spokesman Mark Toner said on Thursday, "but that said, we do certainly respect the freedom of all nations to operate military vessels in international waters in according with international law." Nevertheless, US officials tell Reuters they’re continuing the monitor the vessels as they move south of the Aleutian Islands.